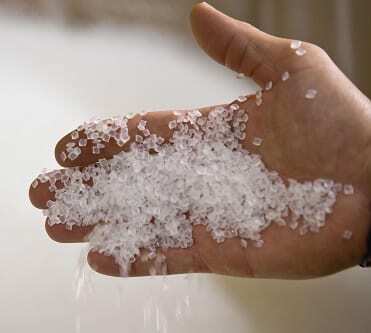 Solvay Specialty Polymers, global supplier of high-performance thermoplastics, announced that the National Sanitation Foundation (NSF) certified seven Amodel polyphthalamide (PPA) and KetaSpire polyetheretherketone (PEEK) resin grades under its NSF/ANSI 51 standard for food equipment materials. As Solvay reported, the certification expands the company’s portfolio of materials solutions targeting the manufacture of commercial food service equipment for aviation and rail transport, as well as hotel, catering and domestic applications. Target applications further encompass boilers, beverage dispensers, water tanks, cutting boards and stock pots, in addition to related components like tubing, gaskets, chassis, pistons and valves. Three glass-filled Amodel PPA grades, offered as black and naturally colored options, constitute six of the newly certified grades. They include Amodel FC-1140 (40% glass fiber), Amodel FC-1150 (50% glass fiber) and Amodel FC-1160 (60% glass fiber). The seventh NSF-certified product is KetaSpire KT-880 NT PEEK, an unreinforced resin characterized by wear and abrasion resistance combined with high surface hardness and fatigue performance, and excellent chemical resistance. According to the company, all of these materials are certified under NSF/ANSI 51 for applications reaching 100°C (212°F), but retain their excellent mechanical properties at continuous-use temperatures up to 120°C (248°F). They provide reliable, long-term performance, as well as strong resistance to oils, greases, hot water, steam and common household cleaners and descalers. Further, these grades all currently meet corresponding food service regulations under the U.S. Food & Drug Administration (FDA) and EU Commission. Their excellent thermal and dimensional stability, low moisture absorption and heat/steam resistance make all of Solvay’s newly certified resins attractive candidates for replacing metal, helping customers save costs and benefit from more design freedom.